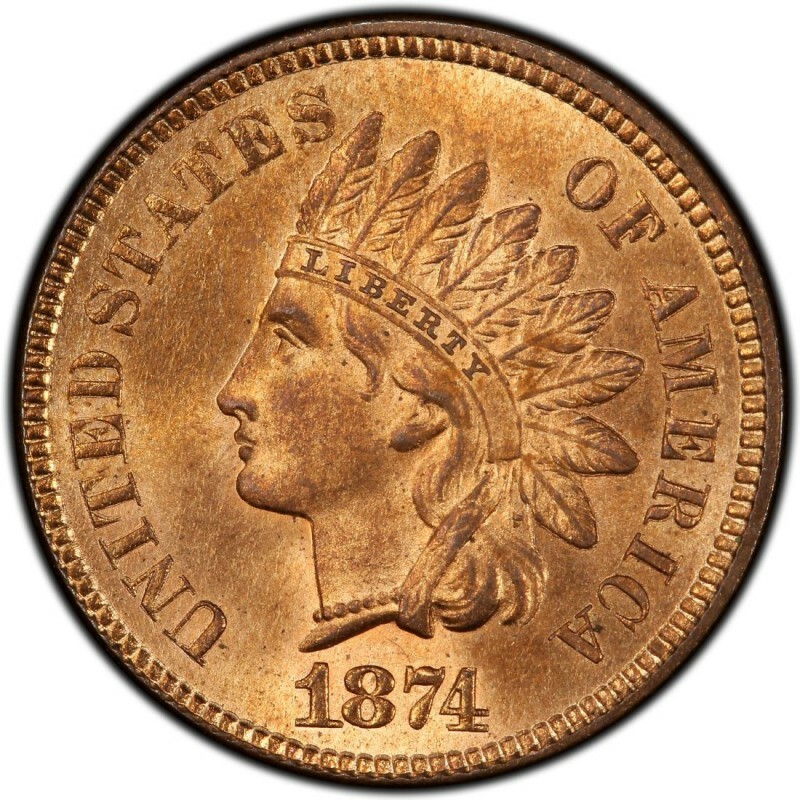 1874 Indian Head cents are sought by coin collectors who assemble series collections of Indian Head pennies as well as those who wish to complete type sets of coins involving 19th-century one-cent coins or copper coins. While the 1874 penny is numismatically common, it actually was struck in much lower quantities than many of the latter Indian Head cents, and this piece is also considered a semi-key penny. 14,187,500 business-strike Indian Head pennies were made in 1874, and these are worth $15 in a grade of Good-4. Along with the business-strike pieces, 700 proof specimens were also made, and these are valued at approximately $2,850. As is common among for Indian Head pennies, 1874 cents are mostly collected in the lower business-strike grades. 1874 proof pennies are relatively rare and quite expensive, and therefore aren’t as commonly collected. James B. Longacre, who served as Chief Engraver of the United States Mint from 1844 through 1869, designed the Indian Head penny. 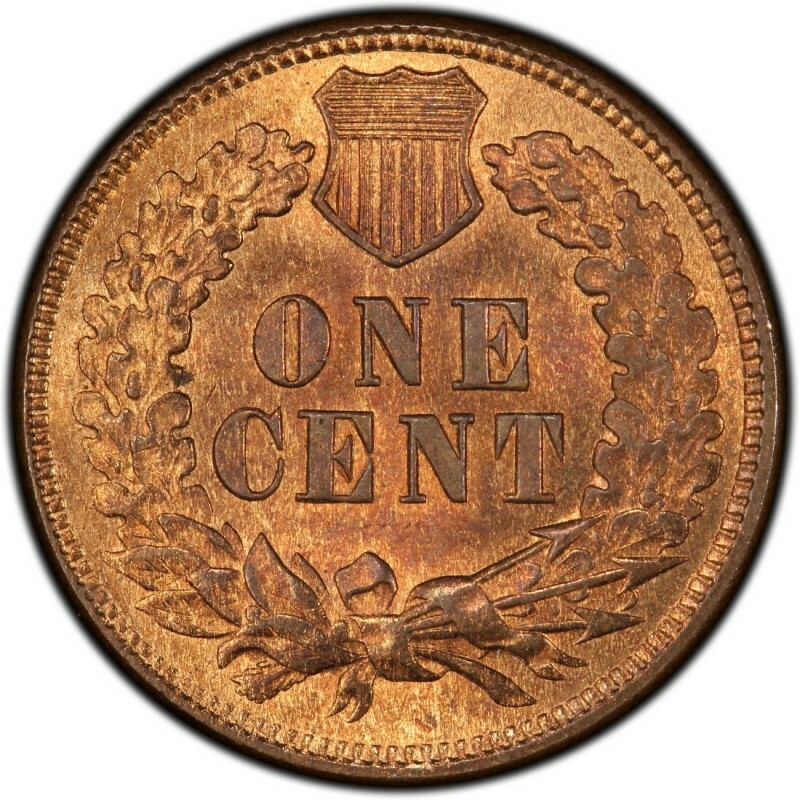 In addition to Indian Head pennies, he also designed the two-cent coin, which was the first U.S. coin to bear the motto IN GOD WE TRUST. When it comes to 1874 Indian Head pennies, many people think the obverse depicts an actual Native American. In fact, the figure on the coin is Miss Liberty, who was modeled after Longacre’s 12-year-old daughter, Sarah.